Short on time? Let forklift sellers contact you. 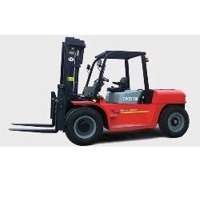 Forklift: Provide the best quality products with the lowest price! Our parts are mainly made by automobile OEM manufacturers in China & Taiwan, with competitive prices & good quality. We have our domestic department in five different area of China. All our parts will be tested in domestic market before exporting. In this case, there is no problem for all the parts we recommend. Our own Research & Development Department will keep on developing some new parts according to the demand of different markets. For the above reason, lots of forklift parts dealers, including some international big dealers in Euro & USA, would like to source their parts from us. We can provide various products for all kind of forklift.